Wall, NJ: The Pharmafill(TM) HT6B Heat Tunnel from packaging machinery manufacturer Deitz Co., Wall, NJ, features an optional Emergency Auto-Lift (EAL) that automatically raises the heat tunnel high above the conveyor in the event of a power failure and/or when the operator stops the conveyor by E-stop button. Quickly stopping the conveyor while pneumatically raising the heat tunnel, the Emergency Auto-Lift system allows the heat to dissipate safely to prevent damage to the stopped conveyor, to the packaged products in process and to their tamper-evident bands. Line downtime for conveyor repair or replacement and associated costs are eliminated along with potential safety hazards and risk of product loss. 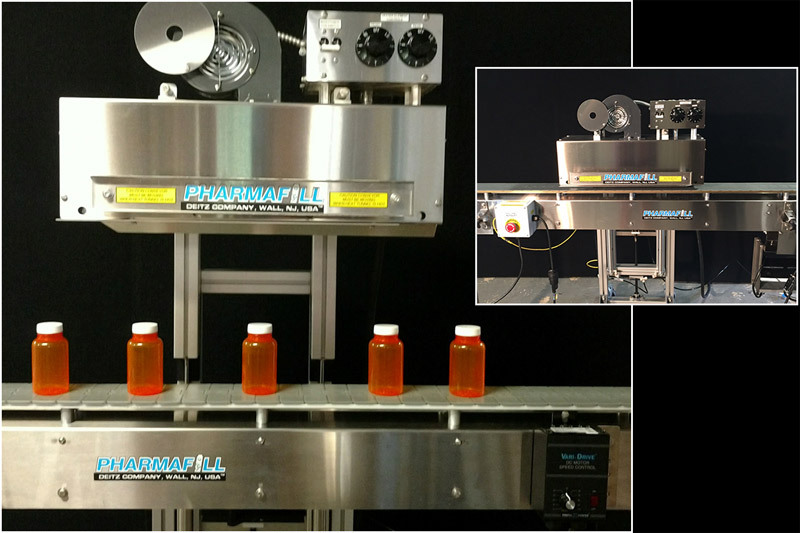 To be showcased at Pack Expo booth #S-5800 on Sept. 25th, 2017 in Las Vegas, NV, the heat tunnel with the Emergency Auto-Lift system accepts bottles, cans, jars, vials, tins, and other glass, metal and plastic containers up to 10 inches high. Heating the tamper-evident neck bands with two, 3000-watt tubular heating elements, the heat tunnel quickly generates the high heat needed to shrink the plastic bands onto the bottles and retains the heat inside for continuous, energy-efficient operation at speeds up to 100 bottles per minute. Designed and manufactured at the company’s Wall, New Jersey, headquarters, the Pharmafill heat shrink tunnel with Emergency Auto-Lift rolls up to any conveyor and comes mounted on an adjustable-height lift stand that raises and lowers the tunnel height to match the containers being processed. The heat tunnel machine is manufactured from stainless steel and anodized aluminum for sanitary operation and does not come into contact with the bottles or other containers.